Are you all ready for this? But I mean, really… are you ready? Hold on… let me show you a picture before I go on! So… anyone need a napkin or somethin’? Honestly guys, I don’t think I’ve ever been quite so excited about any of my previous creations. 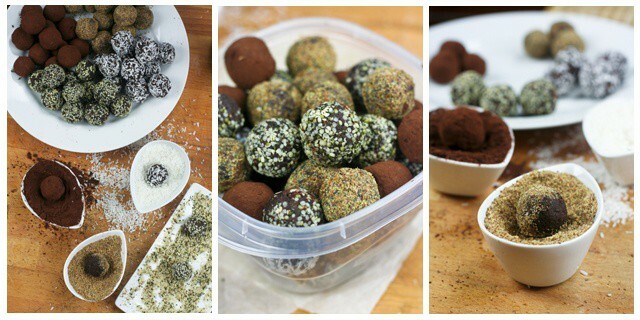 These truffles right here are just plain UNBELIEVABLE! – They are THE BOMB! I swear, if no one told you, there is no way you could ever tell that these were actually good for you. They’re just the kind of “treat” that you want to bring to dinner parties, or share with your friends and co-workers, just to see the look on their face when you actually tell them what’s in them. On second thought, you might want to keep them all to yourself. I’m really not sure that you’re going to want to pass them around after all. But wait! I just realized… I haven’t told you what they’re made with yet, have I? Do you really want to know? I mean, do you really HAVE to know? It might just ruin it for you. The main ingredient for these is… CHICKPEAS! Yeah… I know! I feel the same. But, just you wait ’til you’ve tried them. I am telling you guys, chickpeas have never tasted better. 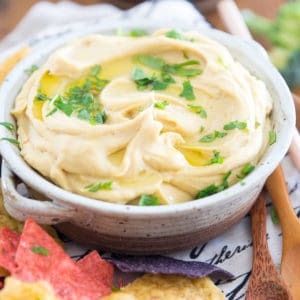 In a food processor, process the chickpeas and dried figs until they're completely incorporated and become nice and smooth and creamy in consistency. Transfer that mixture to a standing mixer with the paddle attachment. Add the cocoa powder, egg whites almond extract and mix on medium speed until well incorporated. At this point, the mixture should have the consistency of a thick cookie batter. If you find the mixture to be a tad too dry, you can always add a little bit more egg whites, until you get the desired consistency. Add the rest of the ingredients and mix until incorporated, no more. Put this in the refrigerator to chill for about 30 minutes. Once the dough has chilled, shape it into ¾-inch balls - that's about a teaspoon per ball. 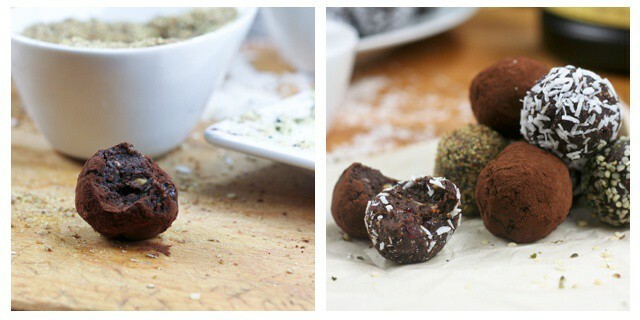 Roll the balls into coating of your choice, place in airtight container and refrigerate. This makes about 5 dozen truffles and they will keep for about a week in the refrigerator (although I really wouldn't worry about that!). You can also freeze them, to try and prevent yourself from eating them all at once, but know that after only about a minute or two at room temperature, they're good to go and as good, if not better, as fresh! I have to say I’m not a fan of figs but I’m very intrigued by this. I may have to give this a try some time. I LOVE the little bowls you have the cocoa and flaxseed in. Where did you get those? I just came back to this recipe because I thought it was dates in the ingredient list…and funny you suggested subbing dates..haha!! 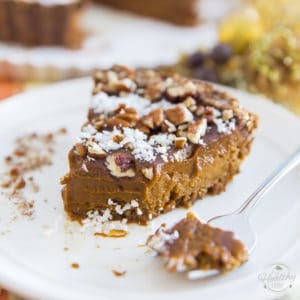 Now that I’m a little date obsessed…I am thinking of making these with dates instead of figs (although who knows…maybe I really do like figs too!) 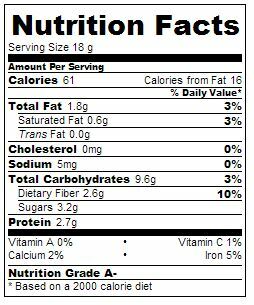 If I did use dates, would you still say 250g or use more/less? I don’t think I ever saw this response about the bowls, we don’t have ARES in the states but I’ll keep looking for them. You know, you’re very convincing 😀 I think I’d be scared of chickpeas in something like these, but the way you describe them, I really want to try them! 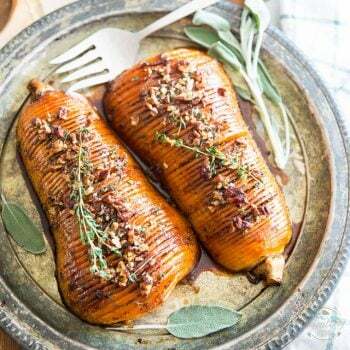 I love the figs in them – the little crunch from the seeds is so good! I love adding figs to my nut and dried fruit “truffles” for that reason. Any idea what I could use in place of egg whites, I’m not really a fan of using them in things like this, but I really would like to try these. Do they need something kind of sticky or just wet? I can’t even wait to make these. you have just done something amazing for humankind! 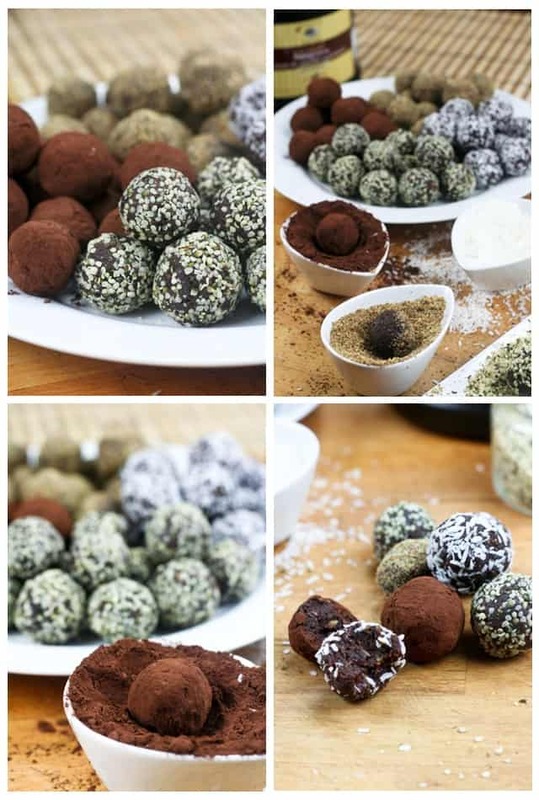 Healthy-beany chocolate truffles…omg I cant wait to try! Sonia these look AMAZING! You know me and chickpeas! ha ha! I can’t wait to give these a try – you’ve really outdone yourself this time and that’s saying something!!! OK, have you tried them yet? You’re amazing, I can’t wait to try these! Do you think all of the mix-ins are necessary for bulk and/or holding the mixture together, or could we do a plain chocolate truffle? I’m also wondering about the egg / mix-in questions so I’ll wait and see what you say before I get the ingredients for this. They look really pretty! And I also love the little bowls. Oh, I know! I’m going to use a flax egg to replace the egg. Since this is supposedly better than the chocolate and raspberry pie (I don’t think that’s possible!) I put chickpeas and figs on my list. I hope I can find them tomorrow! I’m not worried about getting sick from raw eggs, it’s just the thought of them. I can’t deal with it. Raw eggs in cookie dough and stuff is fine, but for some reason, the thought of eating them raw in mousse or something like this makes me queasy. I finally got protein powder for the peanut butter bars! These will come first though. Can’t wait to get your feedback. And can’t wait for you to try the peanut butter bars either. Did you end up getting plain protein powder, or did you find some vanilla flavored? Because, to be honest, it’s just so… weird. Chickpeas and figs? In my dessert? But I’m trying to have an open mind. You got me to put cottage cheese and yogurt in my pasta and avocado in pie and all, so I have to give these a try. I don’t eat any of those things just like I don’t eat chickpeas and figs so I have hope! We’ll see how it goes tomorrow. I so can’t wait to hear your thoughts on those truffles. I didn’t think you could beat those peanut butter energy squares but WOW! Looking forward to making these – might even have to be tonight! MAKING THESE!!!! These are gorgeous and I love the photos and ingredients! 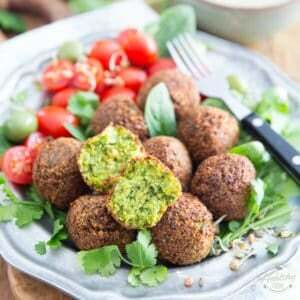 I made “bean ball truffle bites” with cooked beans but I wasn’t 100% satisfied with them so I didn’t post the recipe, yummy but not wow – but THESE sound and look like you got it all right! wooohhooo – maybe this will be my quick snack this week when I don’t have time to cook at all with our store opening! I really hope you like ’em Nora. 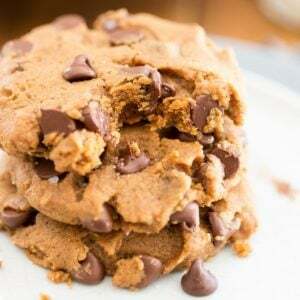 They would make an incredible quick snack for those on-the-go situations, and I think you would find them very handy to have in your refrigerator or freezer for the days and weeks to come. It’s 3 cups of cooked chickpeas! Maybe I should change the wording into 3 cups cooked chickpeas, cooled. That would make things clearer. Hmmmm… did you soak them before you cooked them? Chickpeas, like pretty much all legumes (I think Lentils are the only exception) need to be soaked for a minimum of 8 hours before you cook them. They should be easily smashable with the back of your fork when cooked. They do become rather tender, and, just like pasta, you can cook them to be a tad more on the crunchy side, or be extremely soft. If all depends on what you are going to be using them for, I guess. 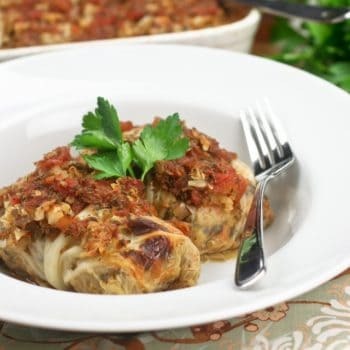 For the purpose of this recipe, you want them to be more on the softer side, of course. Oh, and one more thing, adding salt to the cooking water tends to make chickpeas tough, so add salt only towards the end, when they’re almost ready. Wow, that’s a long time to cook chickpeas for. I rarely cook mine for more than an hour, but then again, I always soak them for at least 12 hours, sometimes even 24. I’m really sorry that the texture of the figs ruined the experience for you. I think I seriously need to come up with a new version of these that uses dates instead of figs! Really curious about these and want to try them ASAP! Just wondering if you have a Cup-to-Weight Ratio for us UKians? All my cups at home are different sizes and I don’t want to over/under do it! Wow. Chickpeas! I would have never assumed. I’ll have to try these out some day soon. I’m honestly so curious to see what they taste like. From what you’ve described, my mouth is already watering! Merci énormément Maude, ça fait vraiment plaisir à lire, et autant je peux apprécier savoir être lue par des gens qui habitent à l’autre bout de la planète, ça me fait toujours un plaisir particulier de savoir que des gens du coin s’intéressent également à mes recettes et expériences. Et francophone, de surcroit! Merci beaucoup d’avoir pris le temps de laisser un commentaire, j’apprécie énormément. Et j’espère que si tu essaies les truffes aux pois chiches (ouach, ça sonne tellement mauvais, dit de même) tu me laisseras savoir ce que tu en as pensé! Tried these out on the weekend. Ended up with something very different in the end because I ran into some food processor issues. My roommates loved the result though! Thanks for the inspiration! chickpeas – wow! I never thought of that. I will try it. Thanks again. I just made these and I’m SUPER happy about them. I wanted straight chocolate, so I skipped mixing in pistachio, cranberries, and coconut. Since I wanted mine vegan, I used flax eggs and it worked really well. I rolled mine in cocoa powder, hemp hearts, and ground almonds. Also, the store was out of figs today, so I ended up substituting dates. I think it would have been better with the figs since I love the little seeds as well, but it’s still really good. It is a frustrating process to make them if you don’t have a good food processor. Mine is wimpy and super tiny, so I was on the verge of my head meeting the counter. However, now that I’m done and I’ve had a few, I’m totally zen about it again. Chocolate will do that. Thank you so much for leaving such awesome feedback Susan, I truly appreciate it! Glad to hear you enjoyed the little truffles. I have yet to try them with dates myself, I’m sure they must be equally delicious, but I would surely miss the little seeds too. Mind you, flaxseed meal must add a very interesting texture too! I ought to try that. I made these and they were terribly disgusting. I had to throw the entire batch out, wasting all the ingredients and the money I put into making it. Sorry, but this recipe was not something I’d encourage anyone to try. Sorry to hear you didn’t like them, Rebekah. However, it would be great if you could volunteer a little bit more information instead of just staying flat out that they were “terribly disgusting”. What is it that you didn’t like about them? Share a little bit of your experience, perhaps? 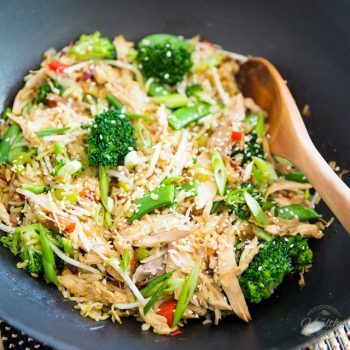 Did you follow the exact recipe or did you make substitutions? There are people who have tried and adored them, so I guess it’s all a matter of taste, really. Some people adore the figs’ little seeds, other people can’t stand them… was that an issue for you? I’ll see if I can find dried figs… either that or i’ll use the rest of the dates I have left (from making the decadent chocolate cake! :)). and I have some chia seeds that i think would be an interesting crunchy coating (or even to add to the mix!). These sound like a great post-workout snack! Wow… I’m really surprised about the figs! They must’ve been really dry, because figs are usually filled with hundreds of little seeds and the interior is very moist and sticky… even cutting them with a knife is sort of hard sometimes because they will stick to the blade and make some sort of a mess. I can’t really think of a name or brand, I don’t think I ever buy the same twice. I think all dried figs are pretty much the same, they look something like this. I’m glad you managed to save your recipe still. I’m guessing the dates must work really well for this. I think I’ll really have to try it myself eventually. Almonds sound great too! The beauty of these little things is that you can really play around with them and add / sub so many ingredients. So happy to hear you liked ’em Caitlin! That is music to my ears, really. Did you end up adding chia seeds after all? And your coworkers… what did they think? Hmmm those figs look like the ones I bought! I guess my food processor just didn’t like them very much! Oh well…I might just need a better food processor :). I didn’t end up adding the chia seeds in the end (because I think the texture may put some people off – they’re crunchy enough with the almond bits). I’ve had good feedback from my co-workers who have tried them, and I’ll be bringing some to share with friends tonight as well. I think the dates worked well enough for it (even though they’re higher in sugars and carbs than the figs). I think next time I make them, instead of egg white I’ll try all almond milk and see how that is. How long do you think they can keep in the freezer? Yeah… I’m guessing your food processor might be the culprit. Probably not powerful enough. As for how long they will keep in the freezer, I don’t think you have to worry about that. Have you tried one frozen yet? Once you have, you won’t be able to stop, so I say they will definitely keep longer than you need them to! But seriously, I’ve kept similar “treats” in the freezer for a couple of months with no problems at all. I made half the recipe and used a flax egg substitute in place of the egg whites. I omitted the mix ins except for the coconut. 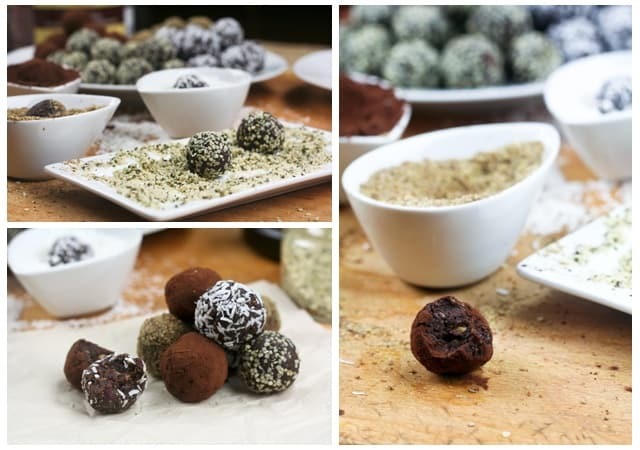 I haven’t heard of hemp hearts so I omitted those as well and I used dates instead of figs, just to see how I’d like the idea of chick pea truffles (and trust me, these will be made again in my house). Can’t say this enough: They were AMAZING! That said, je te remerci encore pour cette recette fantastique! Je suis Montrealais aussi, et c’est honnetement un plaisir de savoir qu’il y a des gens aussi passionne de la nourriture et la sante que moi. YAY! Thank you so much for taking the time to leave such great feedback, Ralph, I truly appreciate that! I would’ve loved to see the look on your family’s faces for sure. Must’ve been priceless! Love your ideas for new flavors too, I’m a big fan of carrot cake, so I’m thinking carrot cake truffle HAS to be good. And I really need to try them with dates instead of figs. So cool that you’re also from Montreal!!! 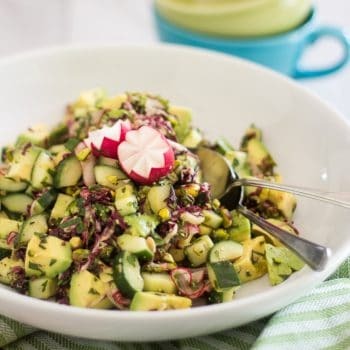 Ça fait plaisir de savoir qu’il y a des gens qui sont assez passionnés de santé dans le coin pour non seulement lire, mais aussi essayer mes recettes! Merci, merci beaucoup! 🙂 I’m the one who’s glad you came across this blog! Amazing recipe. I have made these both with figs and dates in the past two days. Both versions were lovely. Thank you! Is there an option to use canned chickpeas or it has to be fresh cooked chickpeas? Absolutely, feel free to use canned chickpeas if you prefer, Treena.